1Although aerial imaging of archaeological sites has been practised for more than a century in Britain, the use of airborne remote sensing has enjoyed a recent resurgence with the increasing availability of lidar data to historic environment professionals. Archaeologists have been keen to exploit the potential of the high resolution, high accuracy digital surface models that lidar can provide and studies to date have focussed on two main research areas; the potential for last-pulse return to record features beneath forest canopy (Devereux et al., 2005) and the modelling of alluvial valleys (Challis, 2006; Oxford Archaeology North, 2008). 2These important recent studies using lidar data can be added to the more established work on multispectral data. (Donoghue and Shennan, 1988; Powlesland et al., 2006; Winterbottom and Dawson, 2005; Traviglia, 2006). Familiarity with the remotely sensed datasets available and processing techniques has progressed our ability to identify possible sites of archaeological interest within lidar and multispectral data but what additional information can airborne remotely sensed data offer us about the sites themselves? 3The possibility of extracting further information content from digital remotely sensed datasets is in its infancy in the UK. Early studies of lidar intensity in combination with elevation have illustrated the potential of these data but have also highlighted caveats to their use (Paul Cripps, pers comm; Challis et al., 2008). Furthermore, while the commercial sector has driven the majority of research undertaken to date in this field in the UK, applications for academic research have been limited and rarely have multiple remotely sensed datasets been used in combination for a single site. Although the term ‘British prehistory’ may conjure images of outstanding sites like Stonehenge, the majority of prehistoric sites, particularly those in areas of intensive agricultural production are represented only by ephemeral remains which can be difficult to identify. Where earthworks exist they are often degraded by agricultural activity. Commonly features have no upstanding remains and are identified only when changes in soil moisture and vegetation become visible on aerial photography in more extreme environmental conditions. In order to improve our detection of these important remains, this research proposes the use of a multi-sensor approach to airborne survey of historic landscapes. Through systematic processing and analysis of lidar elevation and intensity data in combination with hyperspectral imaging, it is hypothesised that feature recognition rates will be substantially improved. In addition, it is hoped that by analysing the full spectral content of the datasets, it will be possible to make clearer inferences about features based on their associated geophysical and vegetation properties. 4Potential locations for this study have been selected to provide a quantity and range of features already identified through aerial photography and confirmed by excavation and geophysical survey. The types of sites we are hoping to investigate are illustrated by figures 1-3. Figure one gives an aerial view of two prehistoric hill forts in Dorset, Hod Hill to the south and Hambledon to the north. Figure 2 shows the western ramparts of Hambledon Hill, illustrating the largest parameter of topographic variation that will be considered as part of the study. Figure 3 illustrates the results of previous geophysical survey on Hod Hill as an example of the comparative data that will be used to ground truth the remotely sensed results. 5The poster will present some methods and results from the initial year of the project along with directions for future research. Figure 1: Aerial view of Hod and Hambledon Hills, taken in 2002. 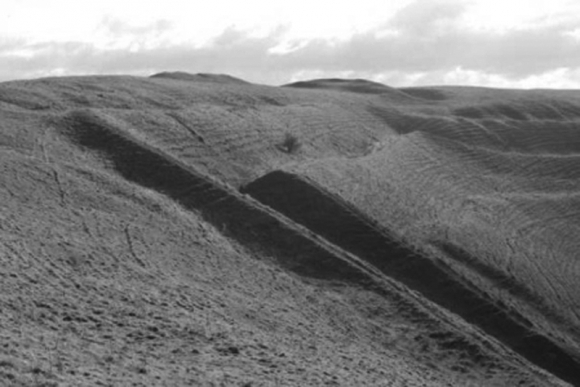 Figure 2: The western ramparts of Hambledon Hill which survive up to 15m high in places, looking south). 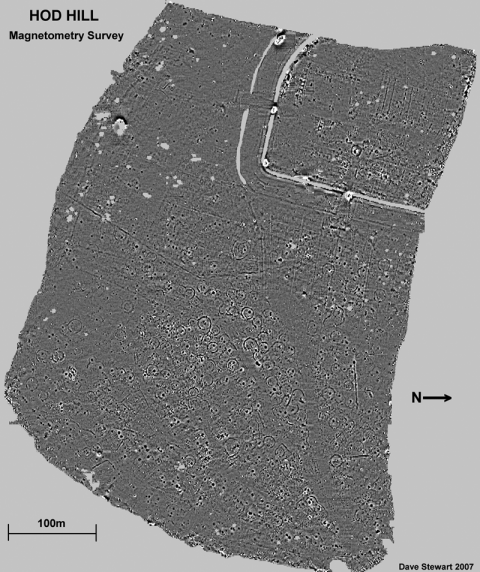 Figure 3: Existing magnetometry survey of the interior of Hod Hill Iron Age- Roman fort. Challis, K., 2006. Airborne laser altimetry in alluviated landscapes. Archaeological Prospection, 13(2): 103-127. Challis, K., Howard, A. J., Kincey, M. and Carey, C., 2008. Analysis of the effectiveness of airborne LiDAR intensity for predicting organic preservation potential of waterlogged deposits (Stage 2 Report). In HP Vista Centre, Birmingham Archaeology. Available at: [http://ads.ahds.ac.uk/catalogue/archive/lidar_eh_2008/downloads.cfm]. Devereux, B. J., Amable, G. S., Crow, P. and Cliff, A. D., 2005. The potential of airborne lidar for detection of archaeological features under woodland canopies. Antiquity, 79(305): 648-660. Donoghue, D. and Shennan, I., 1988. The application of remote sensing to environmental archaeology. Geoarchaeology, 3(4): 275-285. Oxford Archaeology North, 2008.ALSF Aggregate Extraction and the Geoarchaeological Heritage of the Kirkham Moraine, Oxford Archaeology North Unpublished Report. Ref. 2007-8/782. Powlesland, D., Lyall, J., Hopkinson, G., Donoghue, D., Beck, M., Harte, A. and Stott, D, 2006. 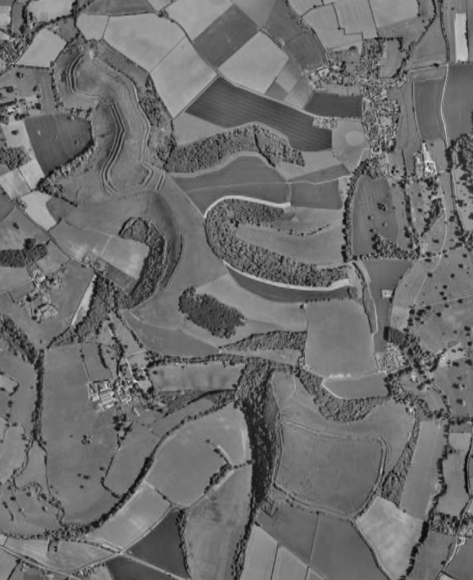 Beneath the sand: remote sensing, archaeology, aggregates and sustainability: a case study from Heslerton, the Vale of Pickering, North Yorkshire, UK. Archaeological Prospection, 13(4): 291-299. Traviglia, A., 2006. Archaeological usability of Hyperspectral images: successes and failures of image processing techniques. In From space to place: 2nd international conference on remote sensing in archaeology: proceedings of the 2nd international workshop, CNR, Rome, Italy, December 4-7, 2006. BAR International Series. Oxford: Archaeopress, 123-130. Winterbottom, S. J. and Dawson , T., 2005. Airborne multi-spectral prospection for buried archaeology in mobile sand dominated systems. Archaeological Prospection, 12(4): 205-219. Rebecca Bennett, Kate Welham, Ross Hill and Andrew Ford, « Beyond the picturesque: analysing the information content of airborne remotely sensed data for understanding prehistoric sites », ArcheoSciences, 33 (suppl.) | 2009, 259-261.